1 – From the very start of your budding ideas for design through to completion of your perfect kitchen we provide a reassuring personal service. We aim to make the process of creating your kitchen a pleasant one where any hassle is taken off you and into our capable hands. 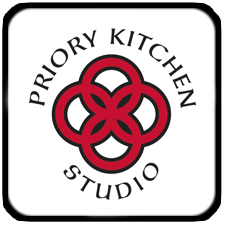 2 – Our personal service begins with Jeff in the Priory Kitchen Studio where in a completely relaxed atmosphere you can discuss your ideas for your dream kitchen. You can browse our wide range of quality kitchens units, worktops, appliances, handles and brochures to find exactly what you are looking for. 3 – We will then visit your home and measure up and assess the kitchen situation for lighting and layout and then back in Priory Kitchen Studio, using high tech computer design software, our designer can create 3D images to bring your ideas to life. You can change the look with different ranges, sizes of units, types of worktops, colours and styles to find your perfect design and costing. We understand the importance of getting this just right for you and will take all the time you need with you helping you to decide. 4 – Once you have decided on your kitchen design you can then leave it all up to us. We will order your kitchen and continue our personal service by checking off the delivery at your home to ensure all items are present and correct. The joinery team will be introduced to you who are fully qualified and experienced in kitchen fitting and they will proceed with the job of expertly fitting your kitchen exactly as you wanted in a professional manner and as quickly as possible and with minimum disruption. 5 – Finally when the kitchen is completed we will visit to check that you are completely happy with everything. We want to show you how much we value your custom and hope that our good reputation will in turn be passed on to others. Almost every one of us has experienced first hand or knows someone who has experienced their kitchen dream turn into a total nightmare for various reasons and at Priory Kitchen Studio we understand how important it is to provide an excellent and unrivaled customer service, excellent quality equipment, outstanding workmanship and value for money.